Dazed speak to the actress/musician/designer about her new album, co-written and produced by Beck to be released in January 2010. 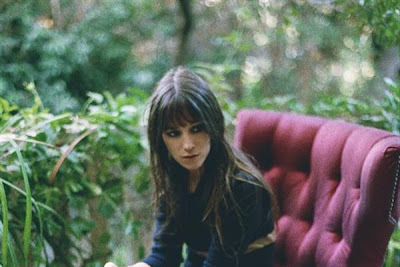 Charlotte Gainsbourg’s unique and instantly recognisable voice resonates throughout the album, varying and playing with different sounds and moods as a wholly new progression from her previous album. After having worked with Air, Jarvis Cocker and Nigel Godrich on ‘5.55’, Gainsbourg wanted « to get on a different track, to go in a new direction. » Her sessions with Beck began in LA at his home studio where he already had a few songs written in mind. However after taking Charlotte’s fragmentary lines, he transformed them into finished lyrics and everything was reshaped. Dazed Digital: The video to the new single was pretty mad, what was the inspiration behind it? Charlotte Gainsbourg: I think it was just absurdity and irony, having weird things happening; the first impulse to put things together that didn’t really make sense – weird stuff. DD: Do you feel your lyrics are quite personal? Charlotte Gainsbourg: Well Beck wrote everything, but we worked together for a year and a half. I came up with ideas, and titles, bits and pieces really but he did the main work. DD: What is the creative / production process like with Beck? Charlotte Gainsbourg: We really started from scratch, he asked me what I wanted the album to sound like, and facing back I wanted to experience anything, as he is capable of anything. I wanted to have that experience with him to explore many styles and different directions. We started with ‘Heaven Can Wait’ which is more pop, then we did ‘In The End’ which is a softer melodious acoustic song, then we did ‘Masters Hands’ which was the first song with those percussions, and African rhythms… But usually he starts with a beat and gradually adds instruments, sort of ad libs over those beats and keeps what he likes best- he has a very spontaneous way of writing and creating a song, then spends a lot of time mixing and perfecting the song. DD: I really liked ‘5.55’, how do you think you’ve progressed or how do you think it differs from the last album? Charlotte Gainsbourg: I had a really magical experience with Air and Nigel Godrich but I had to take myself away from that and go a different way. I had met Beck just before I was recording with Air, they were recording together then too, so it was all at the same time really. Beck’s father already did the strings on ‘5.55’ and again on this record, but I didn’t really have the other album in reference, I just wanted go somewhere else. DD: Were you musically trained then? Charlotte Gainsbourg: No… I play the piano in a very classical way, but not musician really, no training. Charlotte Gainsbourg: Well I don’t know, I don’t have a musical language- talking to Beck I couldn’t express myself musically, just what I liked and what I didn’t, so it’s very spontaneous following.. gut feelings. DD: Were you influenced musically by your father at all? Charlotte Gainsbourg: Very much so yes, but I guess that’s why I wanted to sing in English- I needed a bit of a distance, same as with ‘5.55’. The references to my father are bigger singing in French and I need to step away a little bit and take my own track. I did have references to my father in the music, some of the percussions made me think of songs tracks he did like ‘Colour Cafe’… I liked having a link, but not in an obvious way. DD: What are you listening to in your own time? Charlotte Gainsbourg: I think I have a very obvious taste of liking Radiohead, Elvis, Dylan and some classical music, the Bach variations, Chopin… and I like Grizzly Bear, they did a remix of ‘Heaven Can Wait’ and I love what they did. DD: It’s interesting hearing a remixers’ take on a piece, did you hear the Black Ghosts remix of ‘5.55’, that was great? 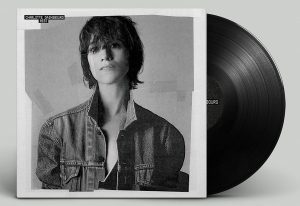 Charlotte Gainsbourg releases her new album ‘IRM’ through Because Music on 25th January.